Following the sale of Massey's Folly in 2015 Farringdon no longer has a village hall, although some events have been transferred to the Church, space is limited and it lacks the facilities that were available in the Folly. However, plans are afoot to construct a new, purpose-built, village hall using funds accumulated from the sale of the Folly and various grants and such contributions as can be squeezed from the rsidents of Farringdon. 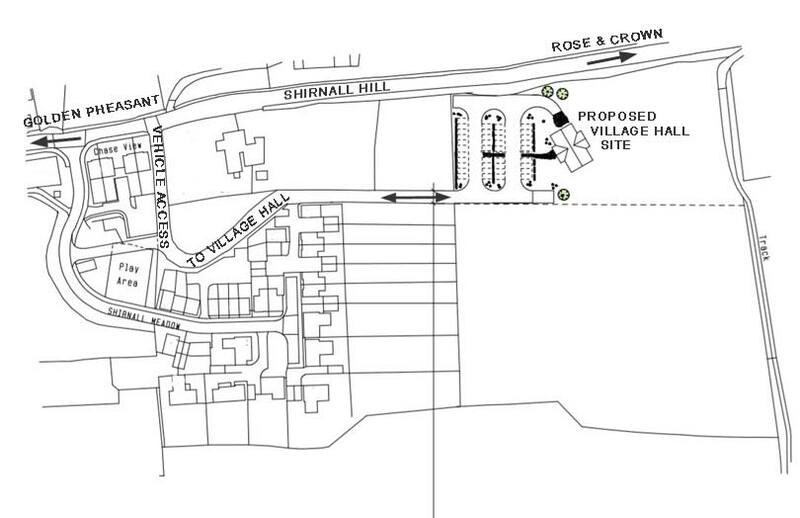 In October the Farringdon Village Hall Trust submitted an outline planning application for a "Community Building" on a site in the centre of the village adjacent to Shirnall Hill. Please Note: this is an outline plan submitted to assess the Planning Authorities response to a community building on this site before negotiations with the landowner can go forward. If those negotiations can be brought to a successful conclusion, more detailed applications to construct a new village hall on the site will follow but may have to be modified to gain approval from all parties involved. 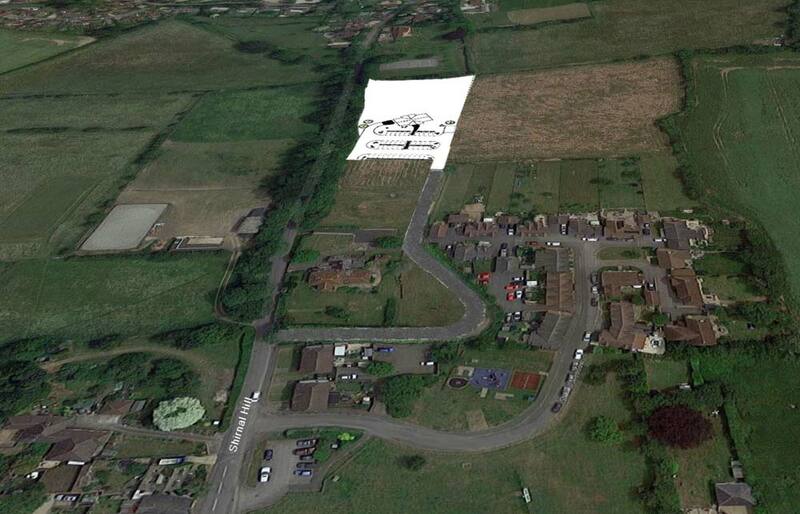 The compound image below shows the proposed site superimposed onto an aerial view of the surrounding land. Held in the Village Hall on Wednesday April 25th 2013 at 8:00 p.m.
At the Annual General Meeting the New Administrative Provisions were unanimously adopted in place of the previous Administrative Provisions. Therefore the Farringdon Parish Council, having consented so to act, has been unanimously appointed as the sole trustee of the Charity; and all other trustees of the Charity have ceased to be trustees of the Charity.